Premium quality to start your build. High-quality components for a high-quality AR build! Everything here is ship-shape…from the premium 416 stainless steel bull barrel, to the 7075-T6 forged upper receiver, to the National Match free float handguard. Quality-made right here in the USA. DoubleStar 5.56 NATO/.223 Rem. 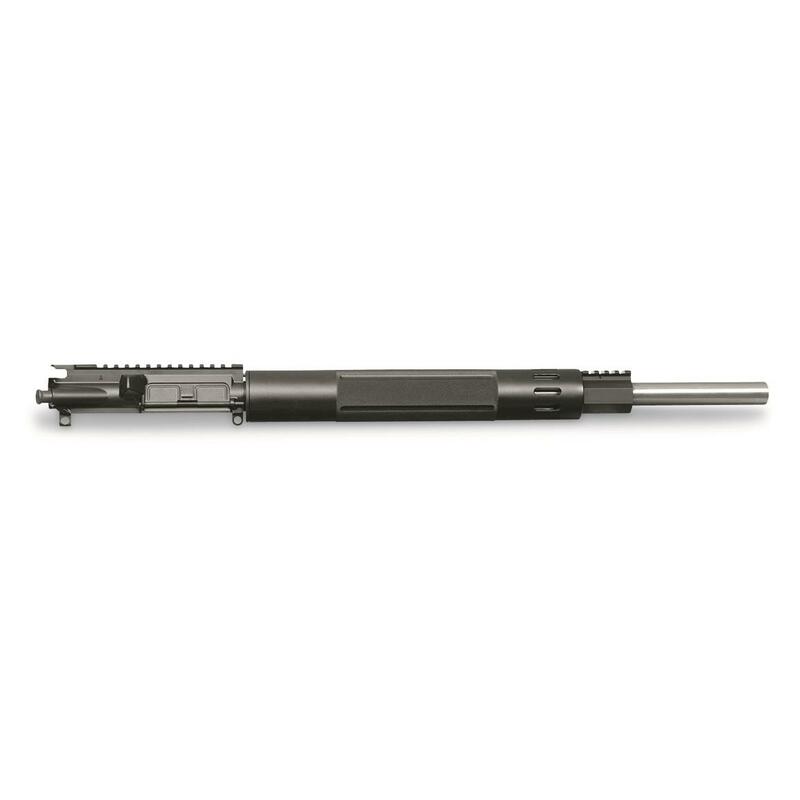 AR-15 Complete Upper Receiver Less BCG, 20 Stainless Bull Barrel is rated 4.7 out of 5 by 3. Rated 5 out of 5 by Allen from Well Built-Accurate This DoubleStar upper was a great upper for me. The quality of the 20" stainless steel bull barrel upper was great. The price from Sportsmans Guide was an added bonus. By the way, I ordered a "Mount-N-Slot" bipod mount from Impact Weapons and it fit great. This is a somewhat heavy rifle with the bull barrel and a bipod helps the accuracy of the completed rifle. Rated 5 out of 5 by Jerry from Awesome upper! This is a awesome setup! Looks good! Quality!! Will buy a doublestar again! Matches up with my anderson lower perfect! Rated 4 out of 5 by Willie67 from Quite pleased Before getting to the nitty gritty, this DOES NOT COME WITH THE PICTURED CHARGING HANDLE! The description does say no BCG but nothing about the pictured handle. Okay, this thing is nice all over no scratches or dings, nice "T" marked slots on the rail, love the aluminum fore-grip, gas block has a rail and four set screws holding it in place. Everything was nice and tight, and forward assist functions. The only gripe was that the gas hole was not de-burred on the inside of the barrel, ran a cleaning rod down it and got out most of it. Fired a round through it to remove the fine debris and now it looks fine. Fit like a glove on my palmetto lower, cycles smooth and with the heavy barrel and rifle length gas system has very little felt recoil. Do not have and optic yet so i will do and update on accuracy later. I am very pleased. 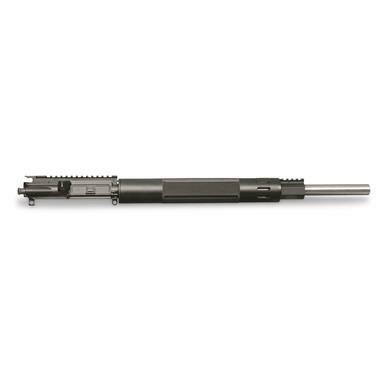 16" 416 stainless barrel, 1:10"
Turn your next AR build into a tack-driver.